An effective skin care routine can be both uncomplicated and affordable. There are a wide variety of over-the-counter products for you to choose from. Specific concerns can be dealt with by simply adding another product to your skin care regimen. Are you looking for an inexpensive, easy-to-follow skin care routine? Does the plethora of choices online or at your local drugstore leave you feeling overwhelmed or uninspired? A healthy skin care routine doesn’t need to be complex or cost an arm and a leg. A basic routine only requires three essential products: a skin cleanser, moisturizer, and sunscreen — all available at reasonable prices. No need to waste your time wading through dubious online reviews and deciphering cryptic product ingredients — we spoke with five dermatologists to find out which products they recommend to their patients. Here are their top picks. Dr. Gary Goldenberg is a board-certified medical and cosmetic dermatologist, and an assistant clinical professor of dermatology at Icahn School of Medicine at Mount Sinai Hospital in New York City. Dr. Kristina Goldenberg is a board-certified dermatologist with extensive training in medical and cosmetic dermatology. Together with her husband, the duo combines their expertise to provide comprehensive medical and cosmetic dermatology care to their patients in New York City. Dr. Kathleen L. Behr is a board-certified dermatologist in Fresno, CA. Dr. Behr specializes in dermatologic surgery, including Mohs micrographic surgery, cosmetic dermatology, and laser therapy. Dr. Fayne Frey is the founder of FryFace.com, the nation’s first skin care information and product selection service. A New York-based board-certified dermatologist for more than 25 years, she has made it her mission to clarify and simplify cosmetic choices for consumers. Dr. Bobby Buka is a board-certified dermatologist in New York City who has a wealth of dermatologic experience in both cosmetic and medical treatments. Dr. Buka is renowned for combining his cutting-edge dermatology practice with the intimacy of a down-to-earth, neighborhood doctor. 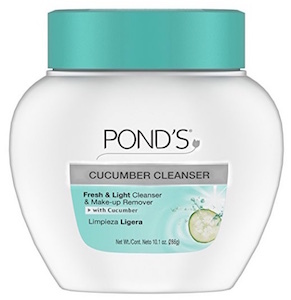 Cleansers are used to remove makeup, dead skin cells, dirt, oil, and other types of impurities from the face. They help to unclog pores and prevent skin conditions such as acne. This two-in-one facial cleanser and face mask targets impurities while helping to preserve skin’s essential moisture. ”The foaming cleanser, which contains clay in the ingredients, is a great scrub for acne-prone skin,” explains Dr. Kristina Goldenberg. 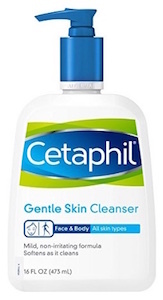 A gentle cleanser, this product nourishes dry or sensitive skin with a moisture-rich lather. Once rinsed off, it leaves your skin feeling soft, refreshed, and free of soapy residue. “This hydrating cleanser is fragrance-free and will not irritate dry, sensitive skin,” says Dr. Frey. 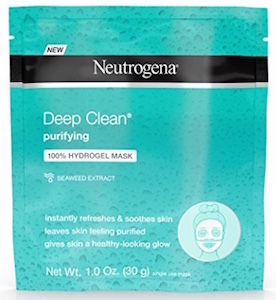 “This creamy cleanser is formulated with salicylic acid to help prevent blemishes and breakouts,” says Dr. Frey. 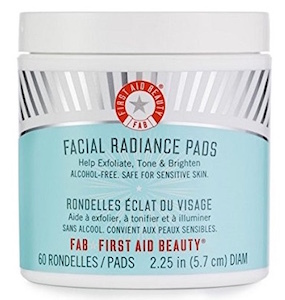 This product’s soy formula joins forces with the acne-fighting salicylic acid to help improve skin tone and texture, revealing brighter, healthier-looking skin. 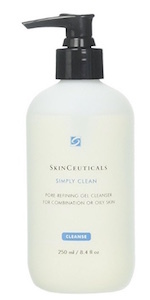 This cleanser gently exfoliates dead skin cells and is ideal for combination or oily skin. It removes excess oil and makeup, and clarifies the skin while smoothing out rough surfaces. “Simply Clean contains botanical extracts like chamomile and aloe to help soothe and heal, and leave skin feeling pure and fresh,” explains Dr. Behr. Dry skin can exacerbate wrinkles by deepening the appearance of lines while making the skin appear waxy and dull. 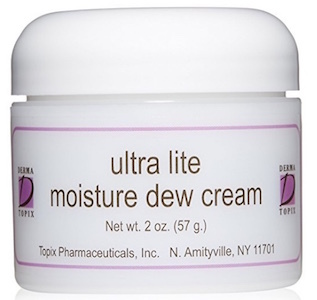 Moisturizers help replenish, hydrate and plump the skin’s deeper layers. They also smooth away fine lines, slow moisture loss, and protect skin from environmental irritations such as harsh wind and dry climates. Water tends to evaporate from the skin’s surface into the environment. When used properly, effective moisturizers prevent this water loss, resulting in skin that appears more hydrated and healthy. 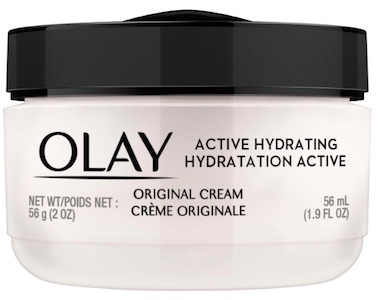 This lightweight, oil-free moisturizer with hyaluronic acid provides instant hydration to skin, locking in moisture to protect your skin from dryness. 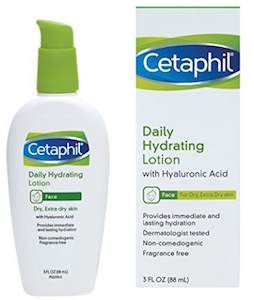 “Cetaphil Daily Hydrating Lotion with Hyaluronic Acid is an oil-free moisturizer that absorbs quickly. This product is fragrance-free and dermatologist-tested,” says Dr. Frey. When it comes to protecting yourself from the sun, the best defense is a good offense. Applying a product with a sun protection factor (SPF) of 30 or higher every day will protect your skin against collagen-damaging UV rays. Keep in mind the sun can penetrate through clouds, rain, and even windows. That is why dermatologists recommend patients apply a sunscreen every day — regardless of weather conditions — to protect their skin from premature wrinkling, skin rashes, and skin cancer. Dr. Buka says this cream is perfect for normal or oily skin. It fights against signs of aging by hydrating the skin and employs SPF 30 to effectively filter harmful UV rays and guard skin from photoaging. It also contains alpha arbutin and homeostatine to even out skin tone and reduce the appearance of fine lines and wrinkles. 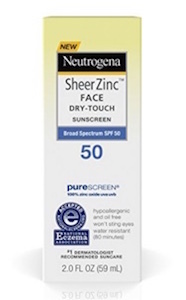 This sunscreen is formulated with zinc oxide and titanium dioxide, and is oil and fragrance-free. 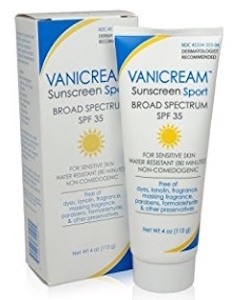 Dr. Frey describes it as a physical block sunscreen that is a superb choice for individuals who frequently participate in outdoor activities. Once you’ve implemented these basic products into your skin care regime, you can then begin adding a few more products to deal with specific skin concerns, such as acne or aging. If you have issues with eczema, rosacea, or severe acne, make an appointment with a dermatologist who can help you to develop a skin care routine that is best-suited for you. » For more advice on skin care products, schedule an appointment with a cosmetic doctor using Zwivel’s free online consultation tool.